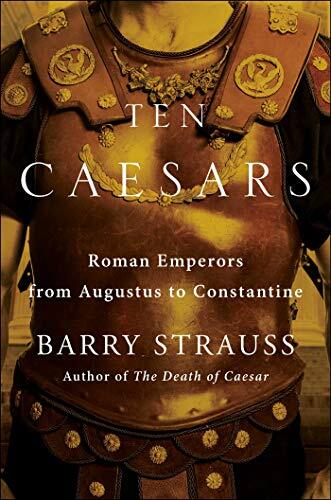 The grandeur and the decadence, the cunning and the brutality, the surprising prominence of imperial women in a man’s world, and the practical wisdom that allowed Rome to maintain its rule over millions for centuries before finally losing its grip in the West: it’s all there in one book. Order Ten Caesars online! Get your copy from Amazon.com (an Amazon best-of-the-month pick), or from Barnes & Noble. Simon & Schuster has published a brief video about the book as a part of their ‘History in Five’ series.